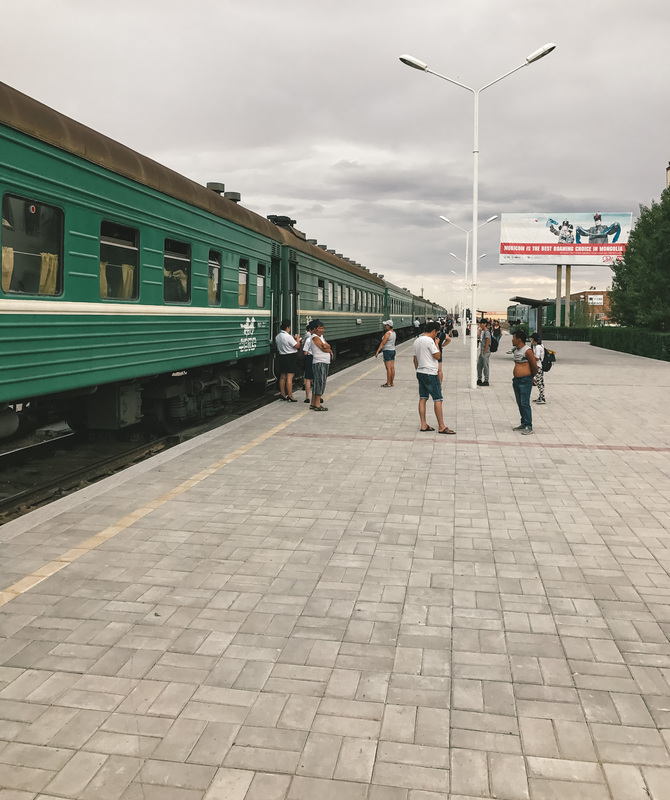 If you’re planning on travelling the Trans-Mongolian Railway, or just want to visit Mongolia after travelling in China, you’ll need to know how to get from Beijing to Ulaanbaatar. There are a few different ways to make the journey – the fast and expensive flight, the normal direct train, and the cheap way. This post will show you how to get from China to Mongolia for less than $50. You can also use this post’s information in reverse (travelling from Mongolia to China). Take an overnight bus from Beijing to Erlian (a small city on the Chinese side of the China/Mongolia border). Hang out in Erlian for a few hours if you’d like – there’s an odd dinosaur park/museum that is worth visiting. Take a shared taxi across the border from Erlian to Zamyn-Uud (a town on the Mongolian side). That evening, take the overnight train from Zamyn-Uud to Ulaanbaatar. Arrive in Ulaanbaatar in the morning! Enough reason to make the trip to Mongolia? I took the overnight bus from Beijing to Erlian (Inner Mongolia) and found it quite comfortable. The overnight bus has flat beds rather than seats(although if you’re on the taller side like me, you won’t be able to fully stretch out). Bus schedules in China change frequently, but as of December 2018, it’s been reported that the Beijing-Erlian (also called Erenhot) bus departs from the Yongdingmen bus station. Tickets cost 180 RMB ($26), and the bus leaves at 5:30 pm. I’d recommend heading to the station around lunchtime to make sure that you are able to get a ticket, and then go hang out somewhere nearby until departure time. The bus will stop at a service station once or twice throughout the trip, giving you a chance to buy some water/snacks. Early in the morning, the bus will stop for a few hours to give the driver some time to nap. Expect to arrive in Erlian at around 8-9 am. Check out this website for the current schedule (note: the Xinfadi station buses have reportedly been suspended). 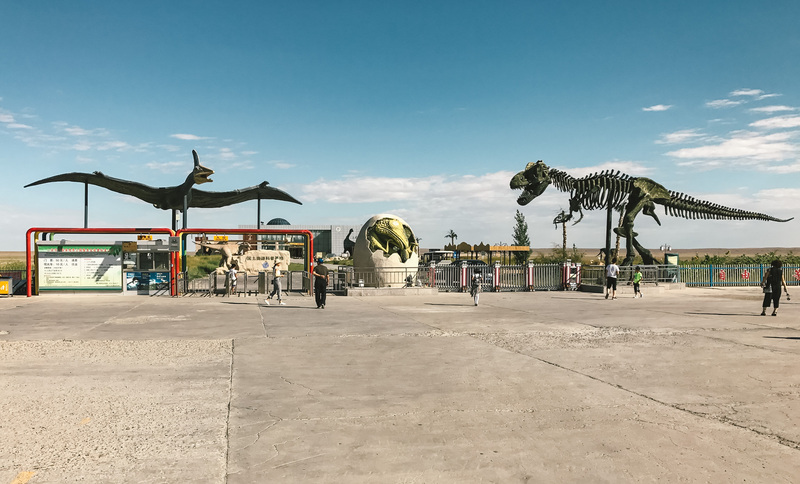 In Erlian, you’ve got to check out the Dinosaur Museum of Erenhot if you’ve got a thing for weird museums. You’ll likely be approached by a driver as soon as you get off of your bus, so just tell them (or use Google translate) that you want to go to the Dinosaur Museum. Make sure to negotiate. Entry tickets to the museum were 50 RMB when I visited. When I went, another traveller that I met at the bus station had already found a driver, and we ended up paying a total of 100 RMB round-trip (the driver will wait in the parking lot while you visit the museum). To cross the border, you’ll need to take a shared taxi/jeep. Drivers approach you, either at the bus station or in the main square of the town. Make sure to negotiate a price upfront – expect to pay between 50-80 RMB. You’ll likely have to wait around for a bit while your vehicle fills up with other passengers. It’s a good idea to grab some snacks nearby, as the immigration process can take a while. The jeep will drive you to the border control building. It has a giant rainbow arched over it – you can’t miss it. You’ll go through the typical border-crossing process, just have your passport ready and it’ll be fine. There was a bit of confusion when it was my turn to be stamped into Mongolia – the immigration officers looked confused when looking through my passport and then called over one of their colleagues. The new officer continued to look through my passport, flipping through the pages with that same confused look. They then asked me “Do Canadians need a visa for Mongolia?” – I said no (the truth), and two seconds later my passport had a Mongolian stamp in it. I guess the officers hadn’t ever dealt with a Canadian passport before, so didn’t know if I needed a visa or not. Pretty funny how they just took my word for it, rather than looking it up. We had to wait for about an hour after exiting Mongolian immigration, as our jeep was held up in the vehicle search line. I was having a conversation with one of the Mongolian dudes that were in the same jeep as me, and he started telling me how he smuggles cell phones across the border. He then opened up the well-wrapped box he had been guarding carefully and showed me the hundred or so iPhones that were inside. Glad that didn’t get caught at the border. You’re now in Mongolia, congrats! You’ll immediately notice how different the two countries are, and get a taste of a typical Mongolian town. There isn’t much to do here, and the only thing of note is the town square with it’s few shops. It’s worth going for a short walk around town and picking up a SIM card if you want one. Getting from Zamyn-Uud to Ulaanbaatar is rather simple. Upon arrival in Zamyn-Uud, head to the train ticket station near the main square. There is a daily train departing from Zamyn-Uud at around 6 pm, and arriving in Ulaanbaatar at 8:30 am. Tickets cost 25,600₮ ($10) for a hard sleeper. Try to purchase your ticket as soon as you arrive in Zamyn-Uud before they sell out. The train is fairly comfortable but had no AC so was quite hot as it rolled through the steppe before the sunset. All in all, getting from Beijing to Ulaanbaatar with this budget method will cost a total of $46 (not including a visit to the Dinosaur Museum in Erlian). If you don’t mind spending the cash or have a time restriction, there are other ways to get between the two cities. The fastest and most comfortable way to travel from Beijing to Ulaanbaatar is flying. There are daily flights on both Air China and MIAT. Flying will take two and a half hours (along with getting to/from the airport), and cost you $200-300 on trip.com. The downside to flying is that you miss out on the beautiful landscapes that you get to see when travelling overland. There is a direct train between the two cities, and this is the train that most Trans-Mongolian travellers take. The direct train only leaves a few times a week, and the date varies depending on the season. It will cost about $200 for a hard-sleeper berth. Check out Travel China Guide for schedule and booking details. Hope you found this post useful! I’m happy to answer any questions in the comments or via email, so don’t hesitate to ask. Let me know if you complete the budget route from Beijing to Ulaanbaatar, I’d love to hear your experience! Looking for places to visit along the Trans-Siberian Railway? 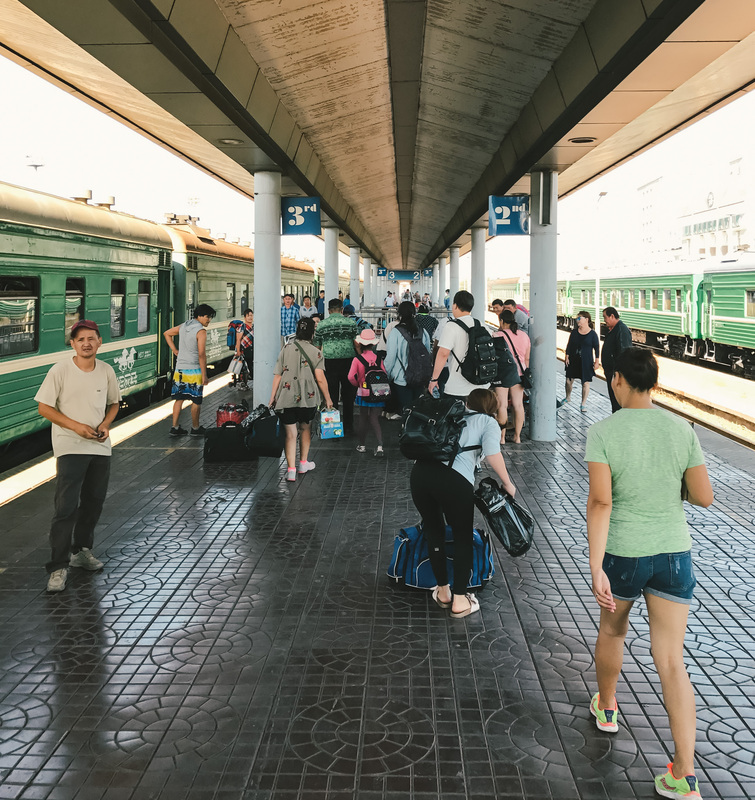 Check out my post on places you need to stop along the Trans-Siberian Railway.